Louth Sinn Féin TD Gerry Adams has met with staff at Dundalk switchgear manufacturing company, Anord, regarding its restructuring proposals which include up to 23 voluntary redundancies. 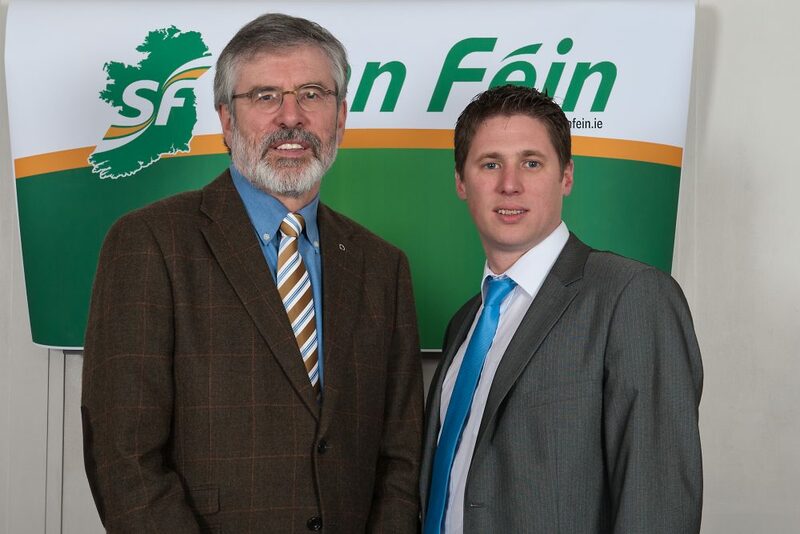 Louth Sinn Féin TD Gerry Adams has said that the management of Anord in Dundalk must behave honourably in respect of redundancy terms offered to staff. “I have met with Anord workers, some of whom have been with the company a lifetime, and the terms that they have been offered by the company are simply not acceptable. “I have been inconstant contact with Anord staff and I hope that this issue can be brought to a successful resolution for all parties involved. 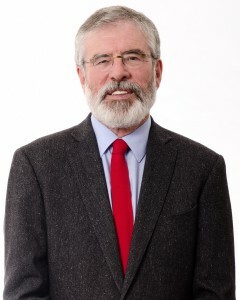 Sinn Fein Louth TD Gerry Adams has accused the government and the HSE of wasting huge sums of public money on the use of temporary agency staff in Our Lady of Lourdes Hospital Drogheda and Louth County Hospital. Instead of tackling the very real issue of recruitment and retention of staff the government and HSE last year spent €13,688,000 of agency staff between the two Louth Hospitals. 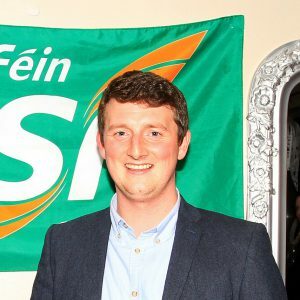 “In the last seven years the government has paid out over one and a half billion euros on agency staffing in our hospitals and community services. “Last year the HSE spent €293 million or almost €1 million a day on costly agency and locum doctors, nurses, and other staff in order to fill posts left vacant due to the recruitment and retention crisis. “The figures for the two Louth hospitals make depressing reading. In 2017 Our Lady of Lourdes in Drogheda spent twelve and a half million euro on agency staff, including almost 6 million on doctors and dental agency staff and almost two and a half million on nursing staff. Louth County Hospital last year spent just over one million euro on agency staff, including 135,000 on doctors and dental staff and over half a million on nursing staff. “This over dependence on the use of costly and more expensive agency staff is a direct result of the failure of the government to tackle the recruitment and retention crisis that has escalated under its watch. Permanent staff properly employed can help bring stability to a health service in crisis. The overreliance on agency staff means that there is perpetual uncertainty in the provision of essential health services. Sinn Féin Louth TD Gerry Adams today joined Councillor Ruairí Ó Murchú, Conor Murphy MLA, and Megan Fearon MLA and several other SF Councillors in a protest in Dundalk square against Brexit. In a piece of street theatre Boris Johnson was searched by customs officials. 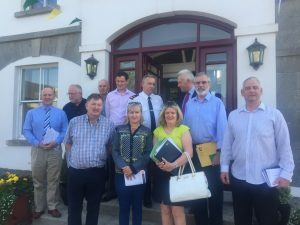 Louth Sinn Féin TDs Gerry Adams and Imelda Munster have attended the Ardee Municipal District Joint Policing Committee meeting held in Dunleer earlier this evening. “Councillor Pearse McGeough, the chairperson of the JPC, suggested holding this meeting in Dunleer in the wake of the terrible murder of Cameron Reilly in May. “Tony Mallon of Dunleer Community Development Board addressed the meeting and he was accompanied by a relative of Cameron’s. “I support the work of An Garda Síochána and I am pleased that Superintendent Andy Watters has confirmed that the investigation is progressing and that Gardaí are being assisted by the young people of Dunleer. Louth TD Gerry Adams is urging the people of north Louth and the border region to support next Thursday’s anti-Brexit protest in Dundalk. 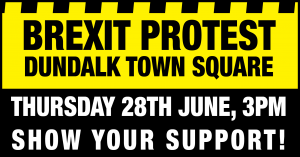 The protest will take place in Dundalk square at 3pm on Thursday 28 June. “Next Thursday the EU leaders will hold a critical summit which will be dominated by Brexit. Tension over Brexit has increased in recent days with the Taoiseach Leo Varadkar accusing the British government of trying to stall progress in the Brexit negotiations and Michel Barnier, the EU chief negotiator warning that “serious divergences” remain on how to resolve the threat of a hard border and hard Brexit. “Last December the Irish people were told that the so-called backstop arrangement was a guarantee that there would be no hard border and that the interests of citizens in the north, the majority of whom voted against Brexit, would be protected. We were also told that this agreement would be enshrined in a legal text in March and that the British had to produce firm proposals for the June summit. 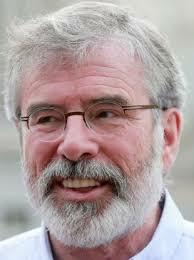 The Irish government said it wanted “sufficient progress” at next week’s summit. “None of this has happened. Instead the British government has stalled and prevaricated and failed to produce realistic proposals. “This is not acceptable. It is also dangerous. The backstop agreement must be written into any withdrawal treaty. The Irish government should be demanding real progress at next week’s summit. The EU must put Ireland – all of Ireland – first and insist that the British present their proposals on time. “The objective is clear. The north must remain within the Customs Union and the Single Market and the rights of citizens contained in the Good Friday Agreement must be protected. Next week’s EU summit must deliver significant progress. The onus for this falls on the Irish government. It cannot allow the current reckless negotiation process to continue. 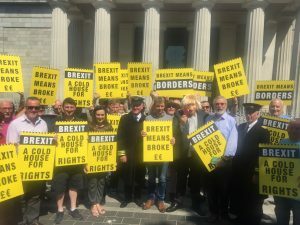 “I would appeal to everyone concerned about the dangers posed by Brexit to join Thursday’s protest in Dundalk.